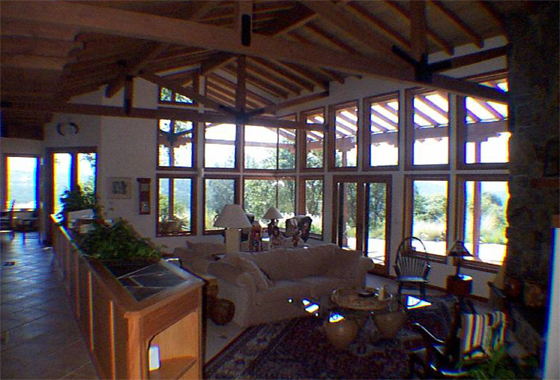 This home uses passive solar design. Glazing lets in the winter sun while tall Perch overhangs black the sun in summer. It features a Rumford, site-built fireplace with custom glass doors and a Trombe wall.